Wondering what gifts Psychic April uses in her readings? Clairvoyance: is the ability to "see" images in one's mind that are not visible to the naked eye, and may sometimes be scenes from the future or the past. Some clairvoyants may see the colors of "auras", the energy patterns surrounding people's bodies. Clairaudience : is the ability to "hear" sounds or voices not audible to others. Some clairaudients called "mediums" may receive verbal messages from "spirits" or deceased persons. Clairsentience is the ability to "feel" sensations or emotional energies not noticed by others. Clairsentients who have this ability may be "psychic healers". Channelers: act as a "channel" for information from the spirit realm, either writing it down ("automatic writing") or letting a voice speak through them. Tarot card readers: use intuition to interpret the "spread" of cards, but are not necessarily "psychic". A psychic might use tarot cards as a guide or to focus. Psychics: are aware of things one cannot perceive through the five physical senses of sight, hearing, touch, taste or smell. They are said to have a "sixth sense" which is often called "extra sensory perception" (ESP) or just "intuition". There are several types of psychic "sensings" similar to seeing, hearing and feeling. We are all psychic. Each and Everyone of us has been blessed with Spiritual gifts. Are you ready to discover your gifts? Imagine the warm sun touching you on a spring day. Hear the water of the stream floating across the stones of it's bed. Smell the sweet warmth of the Earth's aroma coming into your conscious awareness. Feel the outside world slip away, taking with it all your cares and worries. You are totally immersed now in the sacred private place, your own private Earth. The birds begin to sing and with their song you become more and more a part of the totality of the scene. You begin to see a glowing energy around your body. This energy now reaches out and touches everything around you. Sense the wisdom that surrounds and envelops you. Open your heart to the messages of the true nature of oneness. Take a deep, deep breath now, in through your nose and out through your mouth. Repeat this process as you go down deeper into total relaxation. I'm going to count down from 7 to 1, with each number you feel closer and closer to your true nature. Number seven, deepening your sense of safety and relaxation. Six, you are enveloped in the protection of the white light. Five, feeling your body lighten, to weightlessness. Three, deeper into joy and completion. One, standing face to face with your higher self. Feel the outstretched arms of your higher self embrace you with absolute love. Good, allow your higher self to merge into your energy becoming one brilliant light. Off in the distance you can see another brilliant light. It is waiting for you to initiate contact. Allow your perfect ball of light to envelope your body, readying it for contact. Invite the brilliant light of your guide to merge into your aura. Give your guide permission to use your arm to give you the gift of contact. Gently open your eyes enough to see the page, without leaving your perfect level for writing. Pick up your pen or pencil and holding lightly, begin to draw gentle circles. Become aware of each breath you take. Focus only on your breathing for a short time. water or well and see it leaving you. Call upon your guardian or spirit guide to be with you. You do not have to talk out loud. You will know when your guide is present - it may appear to you physically or you may hear voices in your head, you may smell flowers or perfume of some sort or you may simply feel a tingling sensation, especially on the back of your neck, or chills. 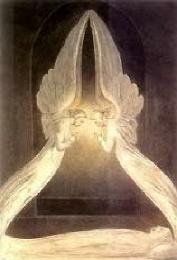 When you are finished conversing, thank your guide or angel. Return to normal consciousness by becoming aware again of your breathing and the sounds around you.